Home / SkinCare / The Active Mist You Need In Your Skin Care. The Active Mist You Need In Your Skin Care. 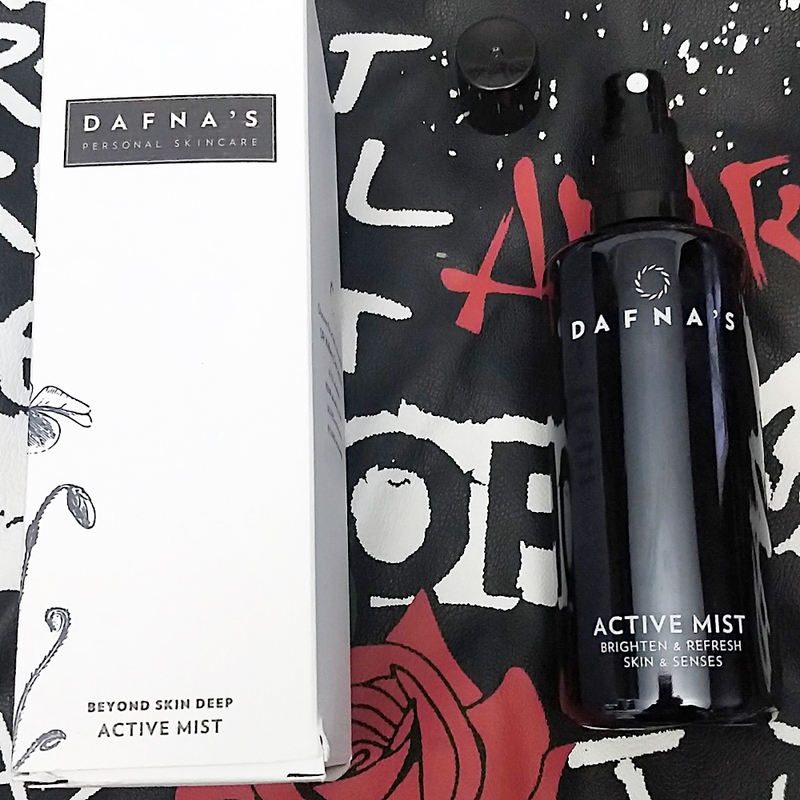 Instantly hydrate and tone skin, when spraying the dafnas skincare active mist over the face and neck. The skin-loving formulation combines plants essence with MelaCare™ bioactive (dry oil) that fights skin photo-aging, while providing essential hydration, glow, and freshness for an improved complexion. The natural skincare brand have developed a number of formula's under the DR2 wellbeing line to tackle free radicals, dehydration, and stress that can all contribute to the early signs of ageing. The products included in the line feature more than 40 active ingredients, never compromising on the best quality and concentration (11-25 Actives Per Product) that work in synergy to detox, repair, de-stress and recharge. Who is the Active Mist Suitable For? The active mist is suitable for sensitive, dry, and normal skin types. 100% Vegan friendly. Gluten Free. The Ingredients In The Active Mist. How To Use The Active Mist? Apply the facial mist evenly over a cleansed face and neck, ensuring an even coverage. The active mist also tones the skin which can help save you time in your skin care routine. Why Use The Active Mist? The active mist combines three oils from medical plants to provide anti-inflammatory, soothing, and anti-oxidant protection benefits. The interesting fact about the three oils combined and called MelaCare™ is that it is shown to reduce melanin synthesis to help combat photo-aging and is a great natural product to help with pigmentation. The formula is lightweight and absorbs quickly into the skin without leaving any trace of its presence, you can then proceed to apply your usual skin care products. The well-being properties also achieved from the active mist can reduce anxiety, relieve tension, and soothe irritability, just remember to breathe deeply when applying to achieve these wonderful natural effects. Apply morning and night to welcome the natural and organic active mist into your skin care routine, your skin will benefit and thank you! X Neil.